The new social network of Pokémon is filled with great stuff to do. If you’ve been playing Pokémon Sun and Moon over the past week, odds are you’ve stumbled into the new multiplayer hub known as Festival Plaza. But there’s a lot going on there … potentially too much. Here’s everything you should know to make the most of it. Festival Coins are going to be the main currency you collect during your time in Festival Plaza. These coins also determine your rank, which will increase as you collect more Festival Coins from the various activities available in the plaza. Currently, the maximum rank you can achieve is 101+ at 300 Festival Coins. As you increase the amount of Festival Coins you have, you’ll unlock additional facilities (more on those in a bit) and rank up bonuses for your character. These give you access to unique rewards like special missions, new themes for the castle at the center of the plaza, and enhanced services at the shops. You’ll also unlock opportunities to gain more Festival Coins, courtesy of the new activities provided by additional facilities. There are around 35 different facilities available to you, each of which has a specific function and reward list tied to it. Many share similar functionality, but with different results, meaning one may better suit your goals than another depending on how you approach gaining Festival Coins and customizing your own personal Festival Plaza. Facilities are broken down into seven basic categories: Bouncy Houses, Dye Shops, Fortune Tellers, Haunted Houses, Lottery Shops, Restaurants, and Stores. Bouncy Houses allow you to boost your Pokémon’s stats, Dye Shops allow you to dye clothing, Fortune Tellers give you hints about which facilities you’ll get lucky with, Haunted Houses allow you to obtain items, Lottery Shops allow you to play once a day for an item, Restaurants give meals to boost your Pokémon’s stats, and Stores allow you to purchase items. 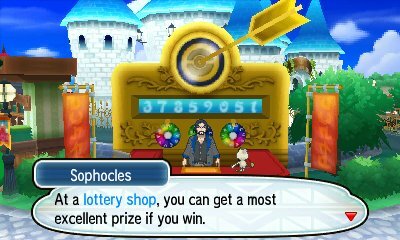 Lottery Shops, unlike the other six, don’t require Festival Coins to use and just give you a shot at obtaining an item once per day. Since there’s no limit on what you can build, I would recommend tossing a few of these in your Festival Plaza from the beginning for a greater chance at getting rewards without spending your Festival Coins. Eventually, you’ll want a balance of everything for those who visit your Festival Plaza, but at the start? It doesn’t hurt to earn some free rewards at no expense. When you first start playing with all the facilities, your first goal should be to unlock missions for you to undertake. Missions come with a few different types of objectives, like greeting people who are playing the game in a specific language, or answering a bunch of questions about Pokémon types your visitors serve up around Festival Plaza. To unlock Missions, you’ll simply have to reach rank 4 by collecting 30 Festival Coins for your character. Do this by speaking with the players who visit your plaza and recommending certain shops in your plaza to them when their speech bubble is marked red. This will reward you with a few coins depending on how successful your recommendation was, and you’ll reach 30 relatively quickly. Once unlocked, you’ll have the ability to host a mission or join one made by another player. To host one yourself, you’ll need a Festival Ticket, which you can obtain from Haunted House facilities, or by speaking with the mission NPC once per day. 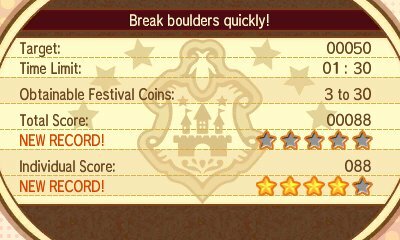 When a mission is complete, you’ll be rewarded with Festival Coins you can spend in Festival Plaza and use to increase your overall rank. One of the biggest advantages hidden within Festival Plaza is a new way for players to EV train their entire Pokémon team and reach peak effectiveness. EV training is usually reserved for players looking to get into competitive Pokémon battling, but thanks to the new facilities, this is a little easier to dive into. For those who aren’t familiar, EVs or “Effort Values” determine the stats your Pokémon receives upon leveling up. These include HP, Attack, Defense, Speed, Special Attack, and Special Defense. By EV training your Pokémon, you’ll be able to raise them to perform certain roles in competitive battles and generally outperform all other Pokémon of the same species. For example, let’s look at Umbreon. Usually, I breed and EV train my Umbreon to be a tank with a high Defense and Special Defense stat through EV training, making him capable of taking more hits. He will always be able to take more damage than a standard Umbreon without EV training. It’s a long and complicated road to understanding EV training completely, but one well worth the time if you plan on playing Pokémon for the long haul. Previously, EV training was done through mini games and by battling specific Pokémon who would boost a specific EV when defeated, which is quite tedious. Now, with Festival Plaza, you can accomplish massive EV training sessions in a few hours by using Festival Coins at a Bouncy House. Difference Bouncy Houses give access to different types of EV training at various levels, so you’ll have to invest some time into collecting them all. It’s also worth noting you can use Restaurants (namely the Friendship Café and Palor) to reset EVs if you happened to mess up a point or two of training.